How do you become popular on Instagram? How do you get tons of followers? The key is to be active as often as possible. Comment and like posts. Create new content often. Follow relevant accounts. Do these activities consistently and you’ll be on your way to Instagram success. The problem is you can’t keep this up every day. Managing your Instagram account is only one task in your to-do list. You may have to focus on other social media accounts. Go to meetings. Attend events. And create content every day. So how do you build your Instagram brand and make time for other tasks? 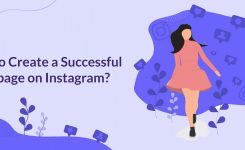 How do you build a successful brand on Instagram? The answer lies in using Instagram bots and automation. What are Instagram bots? Or what is Instazood? 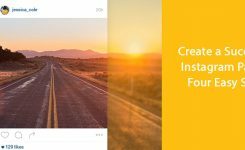 Instagram bots allow you to automate your Instagram tasks. If you want to engage with your followers, you have to leave comments, like posts and follow accounts. While it’s fun to check out your followers’ posts’, you can’t keep this up 24/7. But because of bots, you can sit back and relax! Instagram bots can do these tasks for you, so you don’t have to. You can automate bots to like or comment on posts that used a specific hashtag. 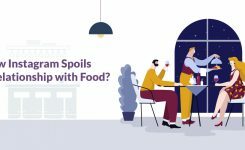 They can comment “Amazing!” on any photo with the #travel or #foodporn hashtag. They could also auto-follow Instagrammers in your niche. In short, they can help you build your brand. These days I bet you want to automate our emails, monthly groceries and bill payments. You don’t want to regularly repeat routine tasks. So it makes sense that you’d want to automate your Instagram too. As much as you want to engage with your followers every day, it’s never going to work. It’s not practical to spend hours in a week on your followers’ feeds. Bots can search for users in your niche and auto-follow them. This way, you can increase your reach and discover potential customers. Gone are the days when you had to scroll through various profiles to find your ideal customer. Instead, you can let the bot find potential leads for you. Plus, it can engage and interact with these new potential customers and followers. The good thing is that bots can do it for you. They can auto-follow, like and comment on posts. As I mentioned above, and linked some of the Instazood pages. So be relax and use Instazood. You can see the advantages of it and you get surprised of the result. Now you can just give it a try. If you have any additional inquiries or concerns, please don’t hesitate to get back in touch.